All of this bonus cash can be enjoyed at an extensive array of games. 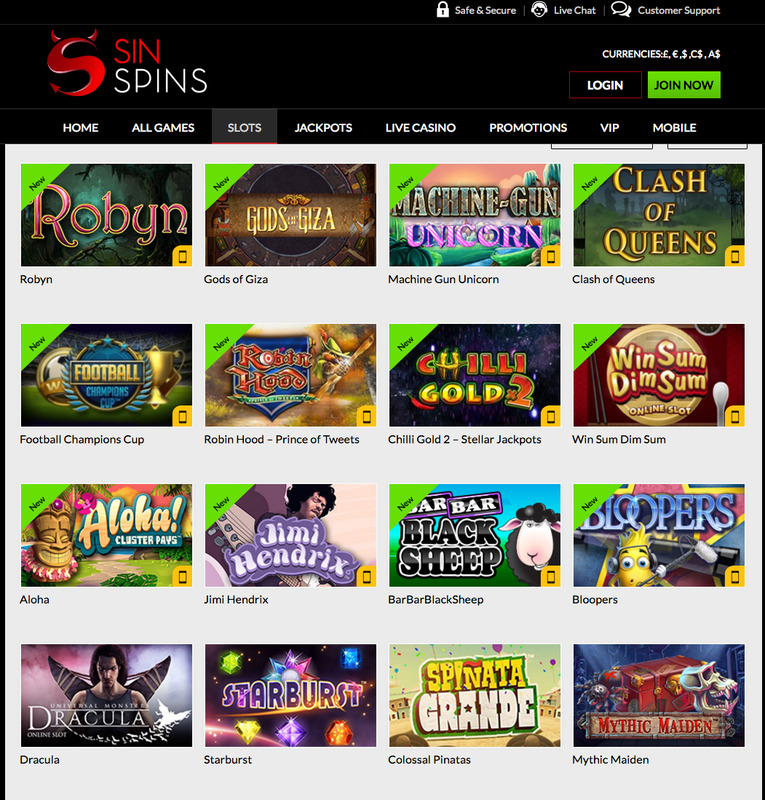 As mentioned earlier, Sin Spins offers casino games, slots, progressive jackpots and table games. More than 17 different providers supply more than 300 games for the casino. Players can expect to see games from the biggest names in casino development, including Microgaming, Netent and Nextgen. 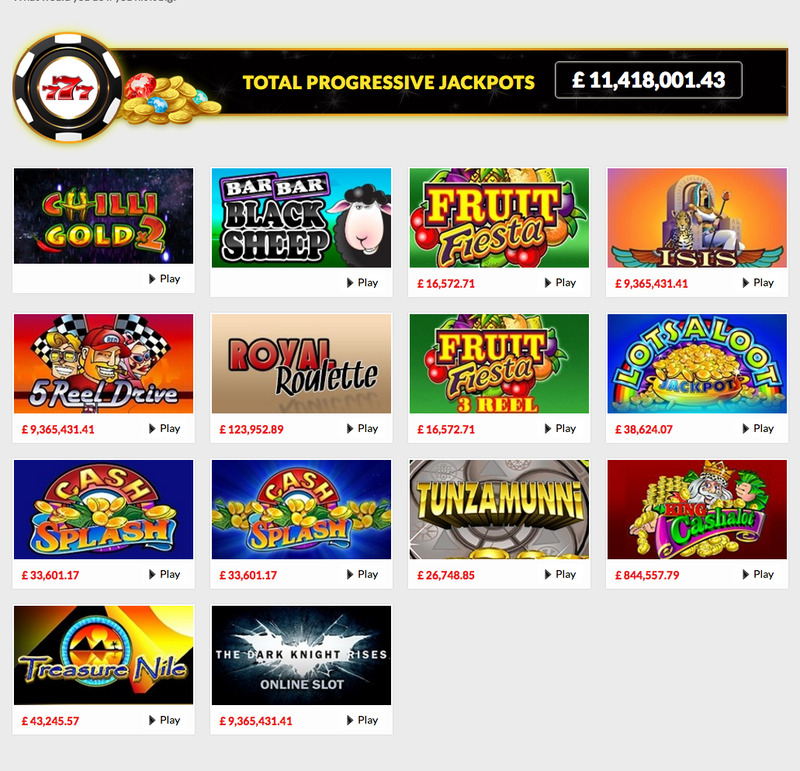 Some of the site’s best known slot titles include Hooks Heroes, Koi Princess, Piggy Riches and Jurassic Park. Blackjack players are also spoilt for choice at Sin Spins. Hi-lo, multi-hand, pro and Monte Carlo variations of blackjack are all available with live dealers on hand. All of these high quality games can be enjoyed safely and securely. This is because Sin Spins is fully licensed by the much trusted Progress Play and is secured using state of the art technology. The site utilises the most cutting edge in 128 bit Secure Socket Layer encryption which ensures that all data is fully protected. If any issues do happen to arise, Sin Spins has a dedicated team of helpful staff on hand, every day from 6am to 11pm.